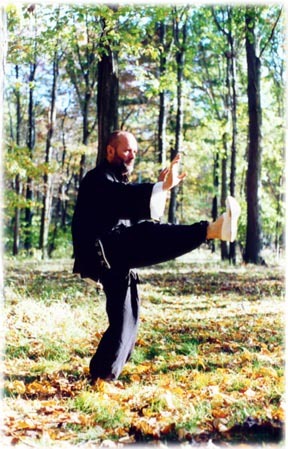 Our classes start with WAI DAN CHI KUNG, an ancient Chinese method of cultivating and circulating the CHI energy. In a few months, the student develops a new awareness of body movement, and the power this awareness brings, perfecting the unity between Mind, Body and Spirit. 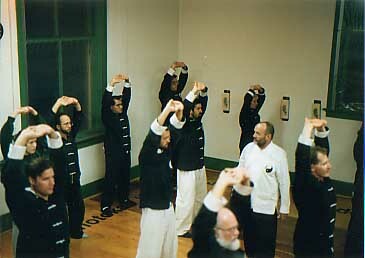 The basic Chi Kung exercises soon are extended in the formal sets known as Pa Tuan Chin (or the Eight Brocades) and the Da Mo. 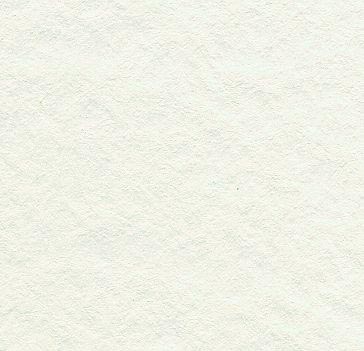 In the meantime, special reverse breathing and initiation in meditation become very familiar to our students, which are elements of Nei Kung. After this, the preparation for Tai Chi, called Tai-Chi Chi-Kung begins. Tai-Chi Chi-Kung is a group of five basic movements on which is based the Tai-Chi Chuan form. 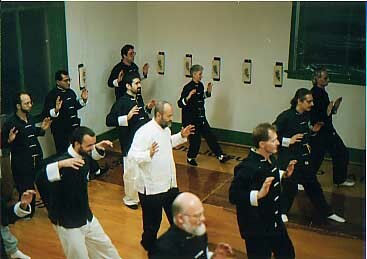 The short form of the Yang Style Tai-Chi Chuan is the next step. It takes about six months to understand the depth and complex harmony required to perform this form. 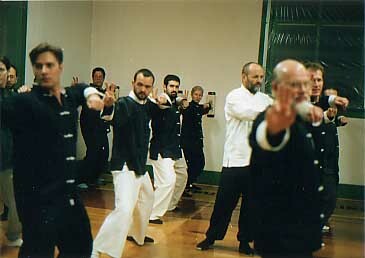 At this level more elements of Nei Kung are implemented as: internal energy movement, energy cultivation and meditation. The student's personal development will be a result of a smooth, natural, interaction between Chi Kung, Tai Chi Chuan, and Nei Kung expressed into the serenity and beauty achieved as a natural respect for the Mind, Body and Spirit unity and harmony. 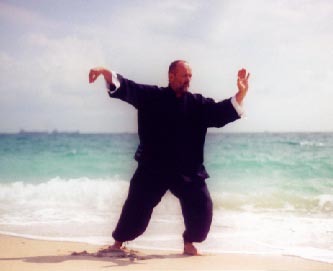 After that, the student can choose to continue learning new forms such as: The Long Form Yang Tai-Chi Chuan, the Pushing Hands (partner work) and Fighting Applications, and the Broad Sword Form. During the performance, the focus is on the harmony and unity between the body movement, the breathing, and the chi circulation. Ultimately the student creates a state of self-hypnosis during the performance, achieving a high level of serenity. For the Pittsburgh school, contact njn2@comcast.net or melacom.inc@verizon.net immediately to schedule an appointment for your FREE CLASS. For the Fort Lauderdale school, contact our Senior Master at master@chindadojo.org. During your visit at the Institute, you will enjoy a personal Interview with our Senior Master or Instructors, to define the strategies needed in achieving your development.